July 9, 2015 February 2, 2016 / Steve M.
L’Aretin has arrived and not at all what I expected, it is tiny and quite fragile, the frontis and another plate is detached, and the plates are all at the front of the book with a description of each on the facing page, I initially thought that there was a missing illustration only to find that at huitieme there are 3 illustrations gathered together, the verso of description and illustrations are all blank. 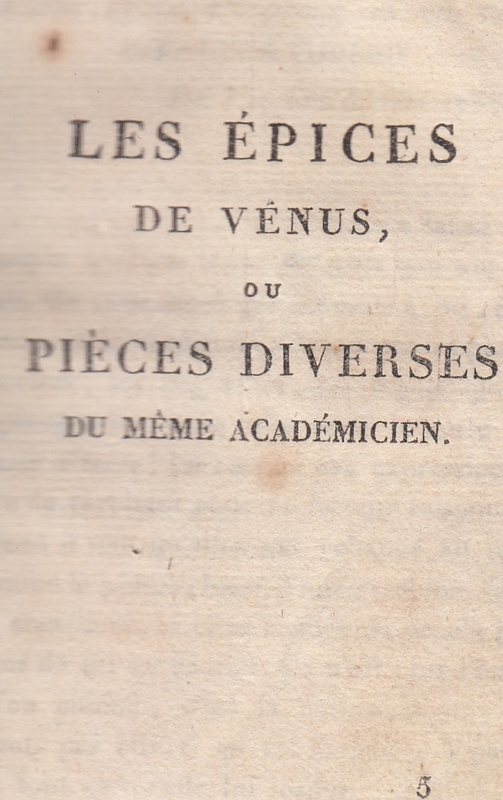 The Pagination only begins with Les Epices de Venus ou Pieces Diverses in which there are 56 numbered pages. Which might well explain the difference in pagination with the Dutel. As already stated the little gem is very fragile, but I will try to scan it all if I can without buggering it up completely and then drop box it for you to see, you are much more able to make sense of it than I am, if of course you have time. from being the same as the little delight you’ve picked up. scanning is excellent, BTW, and I love the phallic frontis. Opening ones eyes helps, I note looking at the images that they all have their number above the top right hand border, they all appear to be present but two different images are both numbered 8, and are two thirds of the trio grouped together along with 9 the description of which stands facing a blank on the following page. The pagination, I notice, appears only on the “Epices de Venus” — pp. -56.
de celles Borel-Elluin” from the edition of 1787. 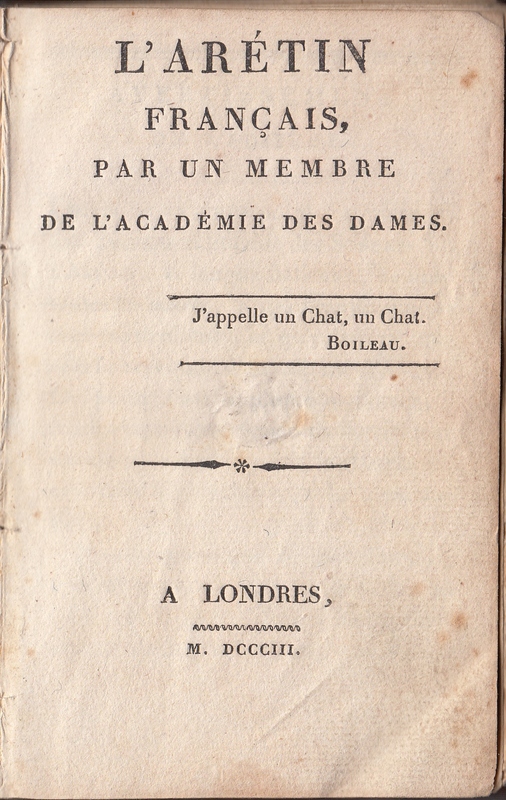 The texts are by Felix Nogaret. it as being Dutel A-104. This Book is available to trade against my Paris Olympia Press wants. My apologies for the quality of the Jpeg scans, but because of the fragility of the book I could not flatten out the pages. Anyone who is seriously interested in assisting with resolving the matter of which edition this is please leave a comment on this blog and I will send on request a PDF of the entire book, you will need DropBox or some such facility as the file size is too large to email.